Author Kristen Painter interviews author Amanda Carlson on her upcoming release, HOT BLOODED, and going to Authors After Dark in Savannah, GA is summer. How do you feel your writing has improved since meeting me? Geez, that’s so hard to measure. 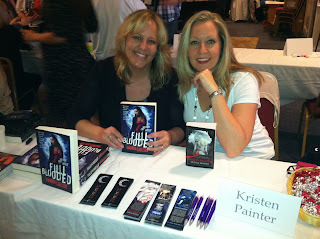 Your prowess as a writer is legendary and just being around you has improved my writing as well as my wit. But, seriously? It has improved, because being able to chat about writing to other authors is so necessary. You’ve helped train me from the puppy I once was to the Best in Show I am today. HA! 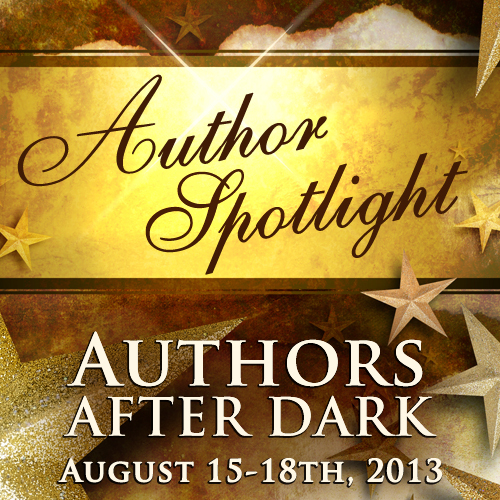 Besides me being there, what are you looking forward to most at Authors After Dark in Savannah? I love cons where there’s enough time to interact and meet everyone. I’m doing drinks TWICE with readers (one opportunity with Amanda Bonilla & one with Julie Kenner), so if you’re signing up, look for a chance to come and have a drink with me. I’m seriously looking forward to Savannah. It’s been years since I’ve been there and it’s such a beautiful city. 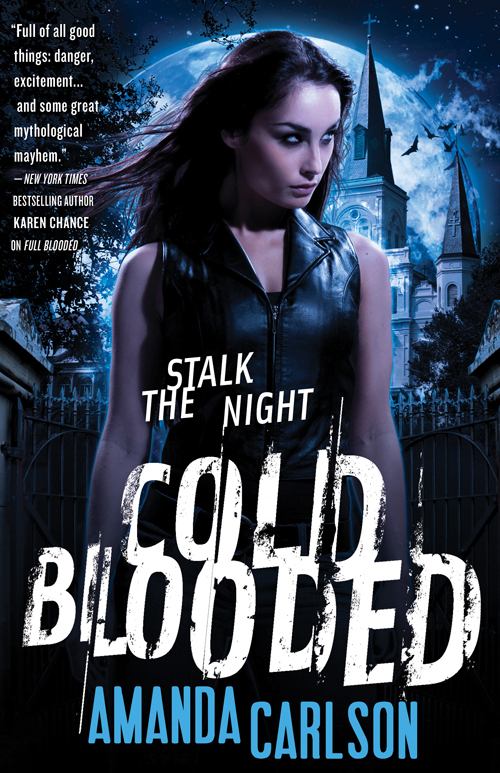 These werewolf books you write, they're based on your true life personal experiences, right? Of course! Jessica is my twin in every way. We were both raised in MN and…um…er…that’s about as far as it goes. But do I WISH I was a kickass werewolf. Does that count? Fly. I know everyone says that, but man, you could go anywhere at any time. I could be writing on the beach all day and fly home in time for dinner. Awesome. Or maybe I’d just fly outside Tom Hardy’s window and sit for a spell. Priceless. How do you write on a day you don't feel inspired? I try and make myself accountable. Doing #wordwars on Twitter (#1k1hr) helps a lot on those days you just don’t feel inspired. It’s hard to wear your thinking cap day in and day out, so making sure you get those words in is key. Then if they’re wrong, you can go back and change them later. Usually, when I go back and edit, I know what should go there if a scene is not sitting right. Most of the time I’m talking to you on Twitter or Facebook. I’m all over social media in the usual haunts. Come find me and we’ll chat! Thanks for having us stop by! Be sure to look for me interviewing Kristen this summer when LAST BLOOD comes out! 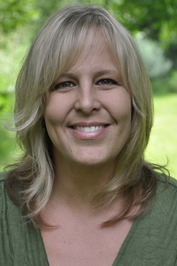 You can find her on various social media sites, Facebook and Twitter. Stop by for a visit! All links and information can be found at amandacarlson.com. 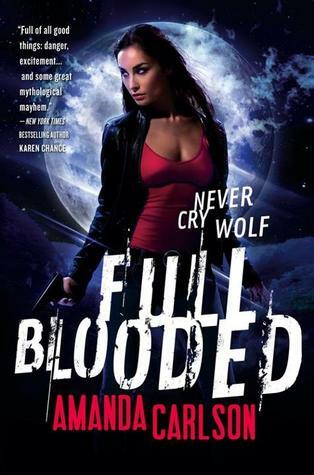 Check out my review for FULL BLOODED. 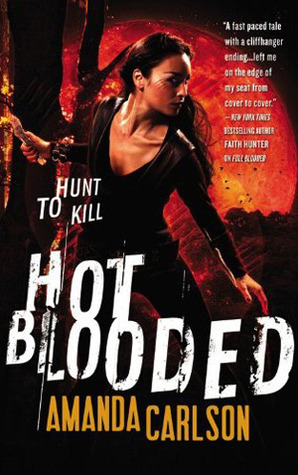 Review for HOT BLOODED coming soon. Love the dog show/writing comparison. Too funny! Great interview ladies!